One of the things that give me the most satisfaction in life is to be able to “teach”. This comes from someone like me who is always learning and who knows that he knows almost nothing. But teaching as little as I know, sharing it, is to learn again. 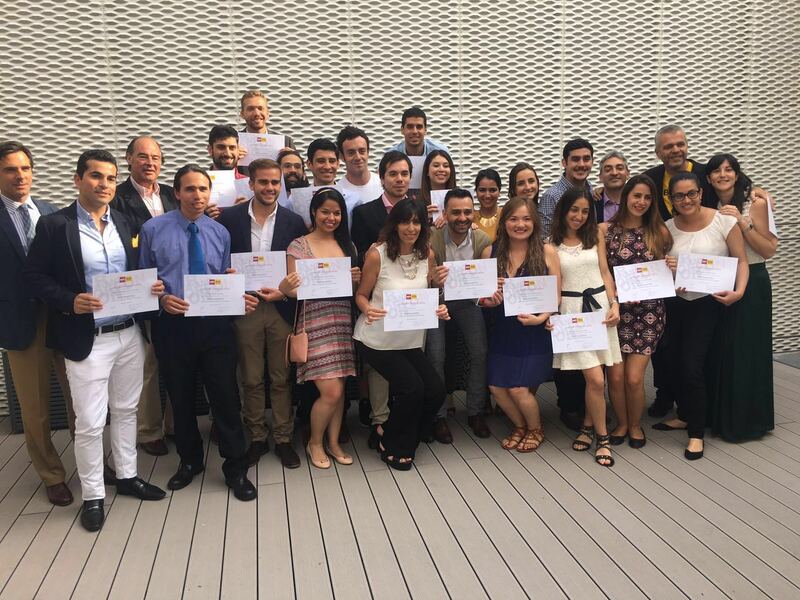 On July 12, 2016, in Esden Business School, with Emiliano Perez Ansaldi, academic coordinator of the Master, Charles Maier, Dean of Esden, and Alberto Isusi, CEO of Esden, we presented the diplomas to the first class of the “Brandoffon Master “. A day I will never forget, as I’ll never forget the first day of school, back in November 2015. “This is one of those days when the excitement is skin deep. Just 9 months ago we started a journey together into the future of Branding. The truth is that brands are about people and the Master had to do with us, with who we are and what we do. I remember with emotion the first day of the Master. Do you remember? But to reach that day, we had to dream first. We launched BrandOffOn in March 2014. 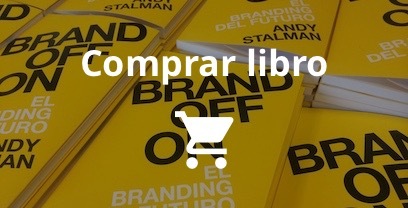 It was inconceivable to launch BrandOffOn without an off + on strategy. And who could we call to help us design and implement the digital strategy? All roads led to Emiliano. Just 28 months later, or 126 weeks later -equivalent to 882 days, BrandOffOn is more alive than ever. Because it is no longer just a book, it’s something that lives in every person who reads it, teaches it, shares it, recommends it, feels it, applies it. The year was 2014 and I had an interesting encounter with Alberto Isusi, and then Carlos Maier came on board. We talked about brands, education, the future, life. None of the three could imagine what would happen months later. 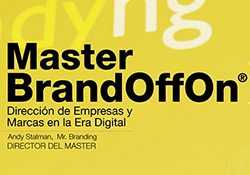 Months later, Emiliano had the “crazy” idea of turning BrandOffOn into a Masters degree. Branding is starting to be accepted as essential in all types of organizations, and the Branding of the future needed a Master degree. And like any new idea, it sounded “crazy”. But what would life be without “madness”? The best definition of insanity: “to see beyond.” We shared the madness with Alberto, who believed in it, and then the ball started rolling. Behind the configuration of a new Master degree there are hours and hours of thoughts, discussion, ideas, even moments of sending everything to hell … As any creative process, it is exciting and painful at the same time. But the excitement and the pain became traveling companions and we came up with a complete, human, different and unique program. The dream, the madness –whatever you may want to call it- was tangible; it was real. Pablo Picasso said that everything one can imagine is real. I remember it perfectly. I was nervous, anxious and happy: it was a mix of emotions, and you gave me one of the happiest moments of my life. It was a very special Friday evening, very exciting, there were tears, personal stories of overcoming odds, we all opened our hearts; there was creativity, sensitivity, and above all, a lot of humanity. We live in times in which time is scarce. Times in which everything happens fast. But while everything passes, the experience stays. And this applies to the world of brands, but mostly, to the world of people. Thank you for sharing these months of the Master. I know it has been a great effort for you, but believe me, no pain, no gain, in the Master and in life. Thank you for building a more humane and exciting future. Hugs bring us together, they put us all at the same level, they help us, they make us more confident and generous if they last at least 6 seconds. Nothing is more important than self-confidence. When there is confidence, limits fade and a highway of opportunity opens in front of you. Creativity is the essential ingredient of any recipe necessary for the XXI century. To believe in you is to believe you can. I believe in you. You too, believe in yourselves. Diversity is always enriching, do not fear it, on the contrary. In this age of ephemeral emotions, emotion regains value because it is transcendental. Learning is the second essential ingredient. Today the Master is over, but learning never ends. Keep the desire to keep learning, always. You can learn from the most unexpected people, you just have to have to open your mind and tame your fear. Sharing is essential: we are social beings because we share, with each other, with the world. Despite the new communication technologies, no device is as effective as the sound of the human voice. As I said before, in March 2014 a book was born. Before that, it had been an idea, then it became a concept. 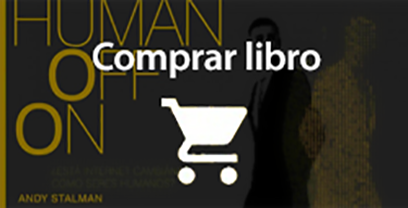 Now, it’s a Master degree and the way many companies create and build their brands. I could never have done this alone. Because success is the road itself, who you share it with and who you build it with. With Emiliano, with Esden, with you, with a fantastic group of teachers, VIP guests … With people who believe and share a vision that things can be done differently. We live in times of rescuing essential aspects of the human being, such as the innocence of a laugh, of going back to your childhood and harnessing it again. Of going back to challenge the established, to wonder why some things are as they are, to be restless, to doubt, to try, to experiment … to fail and make mistakes. And also, it’s about losing the fear of being wrong. It’s about falling a hundred times. And getting back up a hundred and one times. To shout out the goals of our team with your soul. To believe in yourself and that everything that we can imagine can happen. To daydream. To dream a lot. We will sleep when we’re old. All this while respecting the culture and traditions. Remember where we come from, but without forgetting to see where we want to go. Look, hear, feel, overcome fears. Fight your fears. Be brave in the face of fear. Understand that things take time. Magic exists, but success is the result of hard work, perseverance, effort and passion. It’s time to fight for your ideals, to have goals and priorities. Life is lived in the first person, but it’s enjoyed in the plural. Ask if you don’t know. Then ask again. Move slowly or fast, but never stop moving forward. Thank your parents, siblings, friends, or teachers, be grateful. Remember your beginnings. Remain humble and never loose the twinkle in your eyes. Imagine the world you want. Imagine the world where you would like “to be”. Stand out, be original and authentic. Share, read, play, go out on the street … That’s where the stories are. Help to help. Let yourself be helped. Laugh again. Everything passes, but laughter remains. We are always waiting for something. We hope to be able to connect. My hopes for when this closing ceremony is over? I hope that human beings make solidarity and generosity become trending topics every day. I hope that work, talent and opportunities are at the top of online searches. I hope that the words share, collaborate, cooperate and connect get millions of “likes”. I hope that your profiles of father, mother, son, daughter, brother, sister, grandson, granddaughter, are more active than ever. I hope that you can revisit your childhood. I hope that become everything you want for your life. I hope that we can create a stronger link among all humans. The spice of life is our relationship with others. We live in times when time is scarce, but not attitude. That’s how we dreamt it, how we conceived it and how carried it to fruition. The “Brandoffon Master ” is the live example that everything you can dream is real. “When I was a child my mother told me: If you become a soldier, you will become a general; if you become a priest, you will become the Pope. I wanted to be a painter and I became Picasso”. Let each and every one of you become your own Picasso.